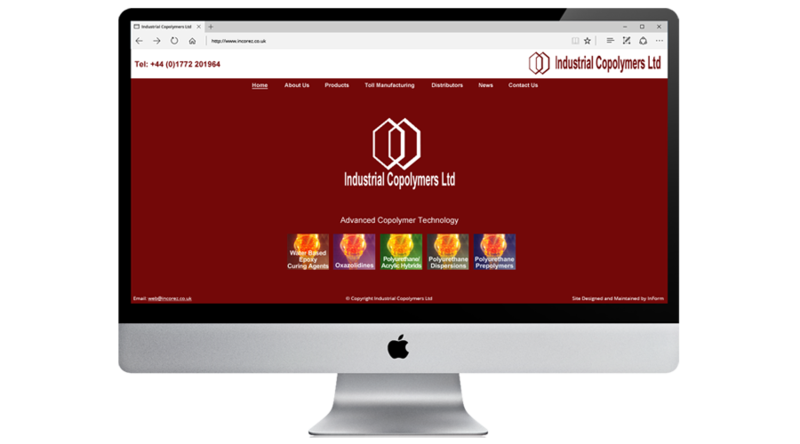 Founded in 1986, Industrial Copolymers Limited has rapidly gained prominence as a specialist manufacturer of resins and polymers. It supplies raw materials of the highest technical specification to paint, sealant, cementitious and adhesive industries throughout the world. Industrial Copolymers excels in the development of high performance, low hazard materials, particularly water borne and high solids systems, and offers, as standard, a wide range of water borne epoxy hardeners, water borne polyurethane dispersions, polyurethane prepolymers and a selection of oxazolidines. All production is carried out on site, in accordance with the exacting demands of BS EN ISO 9001 for Quality Assurance, and in addition to its usual services, the Company operates a comprehensive toll manufacturing facility. Simple editing - Quick conversion of plain text to valid XHTML with Textile. Flexible engine for all kinds of websites. Unlimited site sections, page layout and styling. 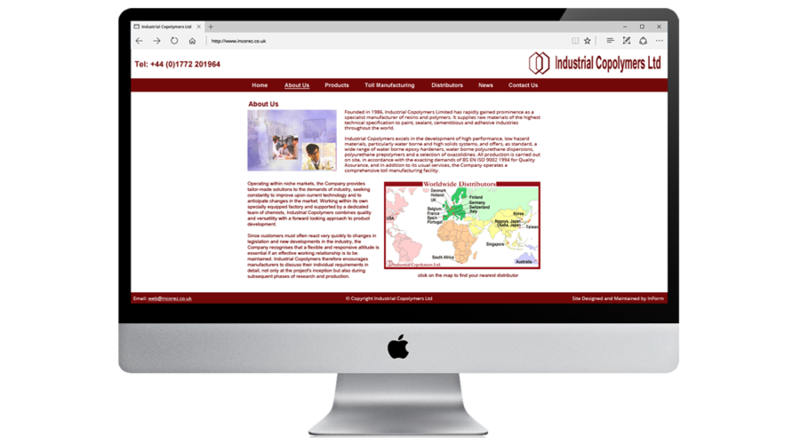 InForm also developed a range of PDF downloadable brochures for the Industrial Copolymers website.